Tron Milan moved to Xabungle 1's sub-pilot seat. 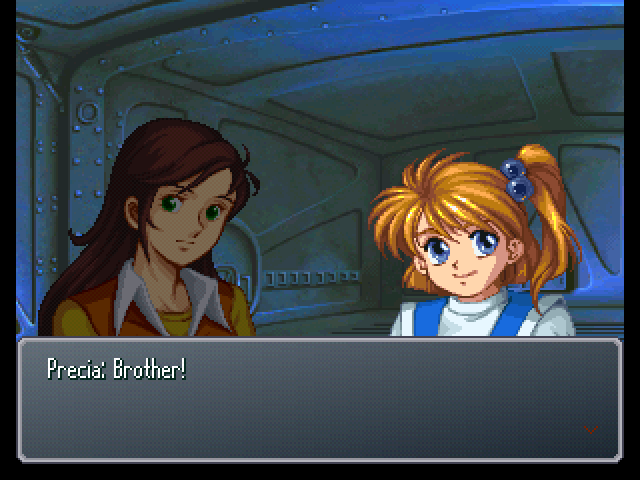 Since we've already went over everything related to the Moon route, I'm going to skip this part. : Yes, sir. One going to space, the other to Eisia. : Eisia, hm... That was where some brutal fighting with the Ancestors took place. : Also, the place where we've endured hardships since ancient times. : Yes, so it was. 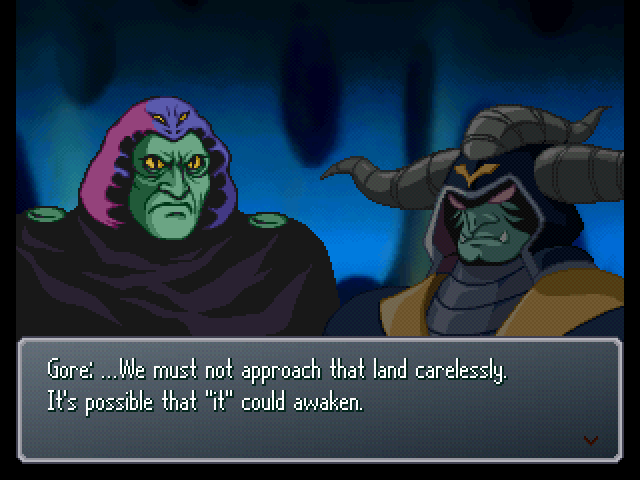 : But neither can we overlook humans... particularly Getter and Mazinger's battleships approaching that area. General Bat! : Use the mechasaurus Guda, and launch an attack upon the humans' ships. 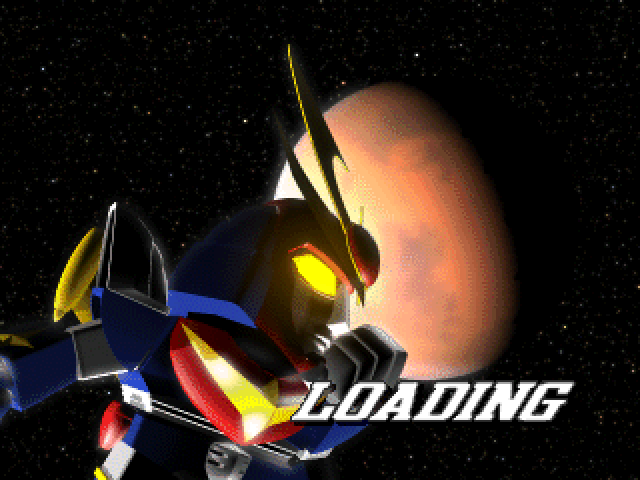 Getter, Mazinger... and Raideen must be eliminated. : Yes, sir. Moving out, then. : X-Point in Eisia, like Jop, is a stronghold with a Mountain Cycle as a central part of it... You can safely assume it will have heavier firepower than Jop. 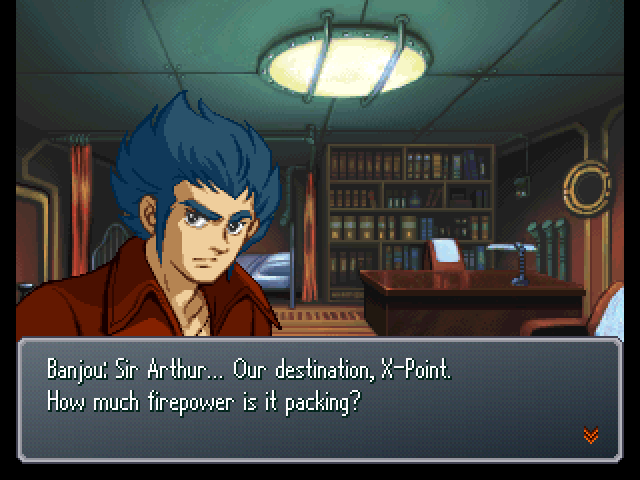 : That's the Innocent's real base of power, right, Sir Arthur...? : But when you say firepower, you're talking about Walker Machines and excavated mobile suits, right? 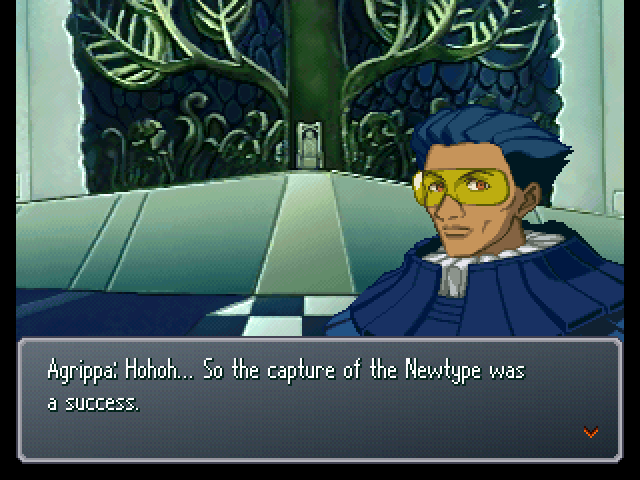 If that's the case, X-Point shouldn't be too different from Jop. : Unfortunately, that is not the case. : Forbidden land...? Why is that? : Because it has several Lost Mountains. : That's right. A Mountain Cycle where dangerous weapons are entombed. : Yup. The weather's nice... How about it? : It looks like Maria's cooked up a storm. 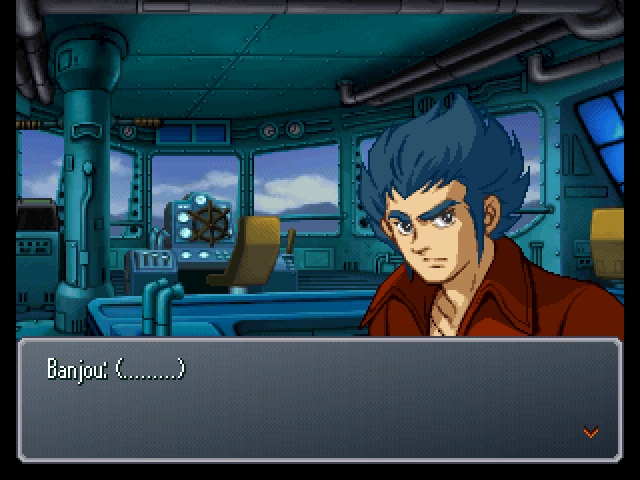 : Hmm... What'll you do, Kouji? 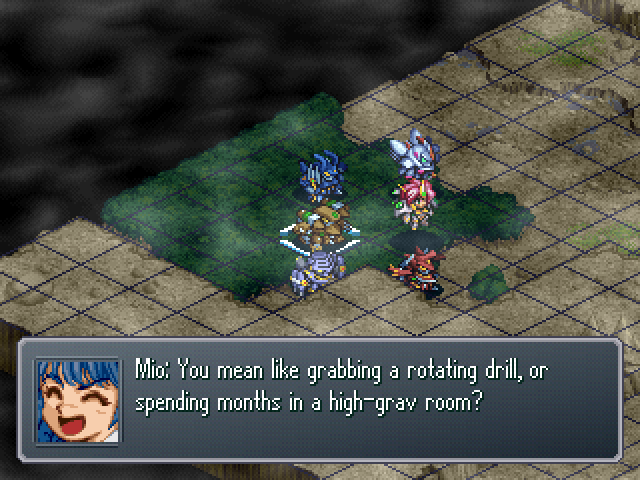 : (.........) Is it because you're worried about Sayaka, Musashi, and the others? : ...Sorry about lunch. Invite me next time. : (.........) Don't worry about it. 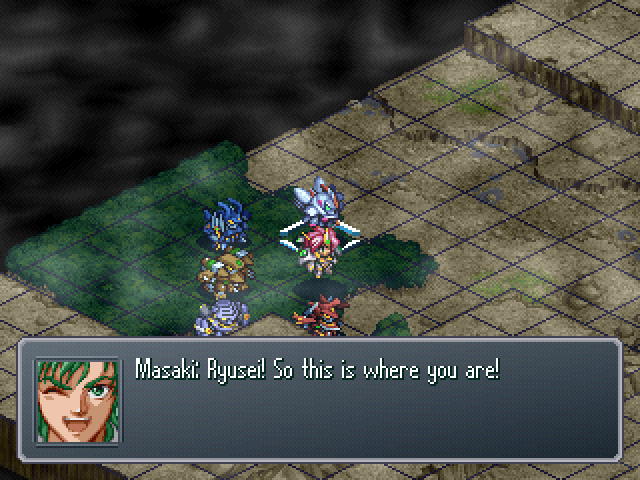 Just watch, Musashi and the gang will pop up any minute now. 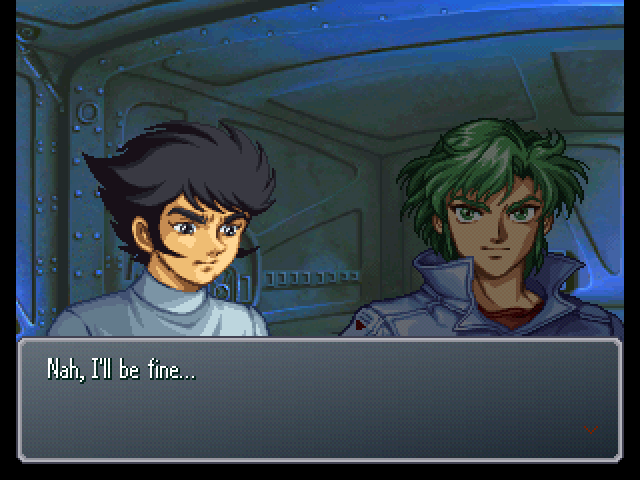 Kouji must believe that, too. 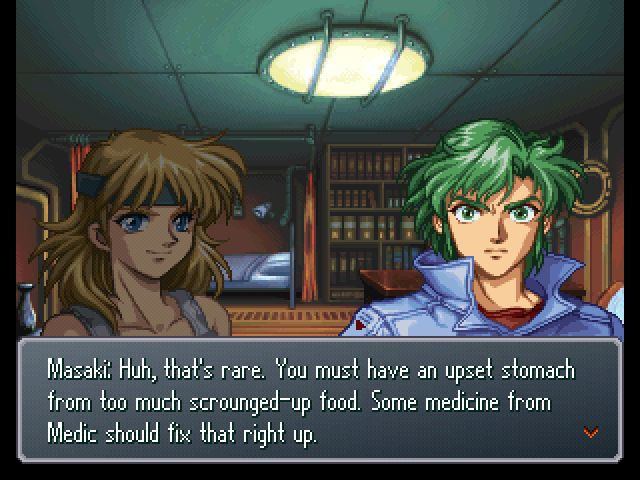 : ...Masaki, you seem to understand his feelings pretty well. : Well, we've hung out together for a while, I guess. : Hey, Mari? 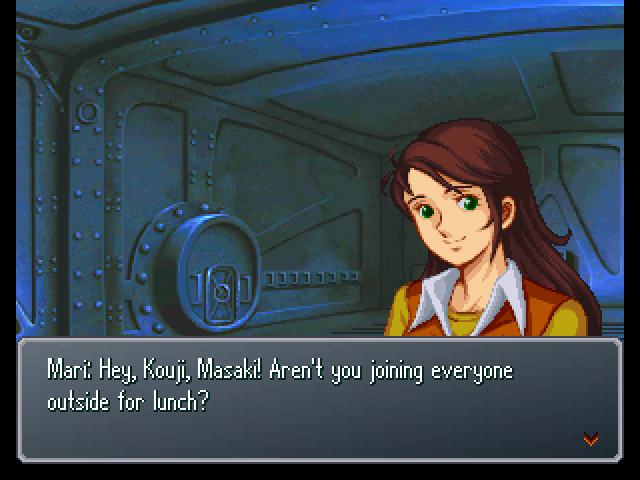 Could you bring some of Maria's lunch to Kouji's room later? : Wendy and Cenia say they want to see us! : Something about the Elemental Lords. : That accounts for everyone. 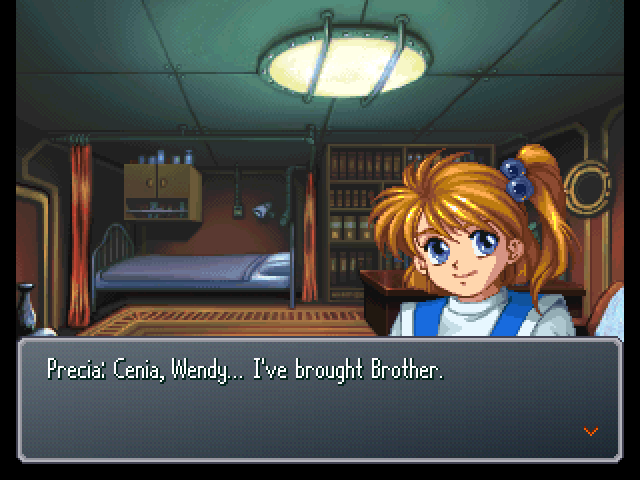 : So, what's this all about, Wendy? : Lady Cenia and I have actually been making some readjustments to the Elemental Lords' prana converters. 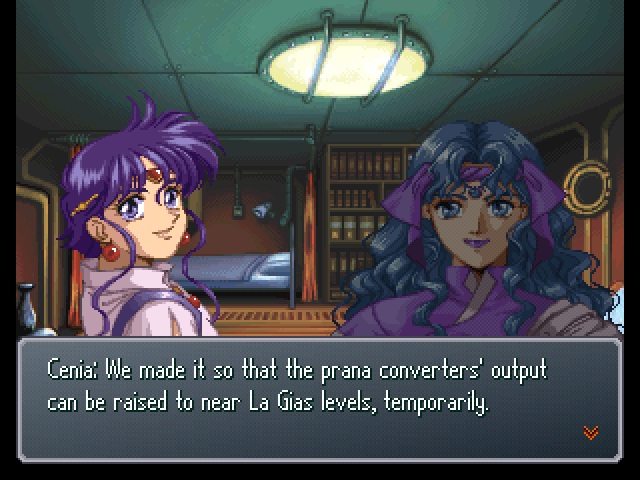 : The spiritual power up on the Earth's surface is a lot weaker than it is in La Gias, right? : Which is why our Elemental Lords and Elementals haven't been working at full power, huh? : So we can power them up a little more than we have been? : Yes. 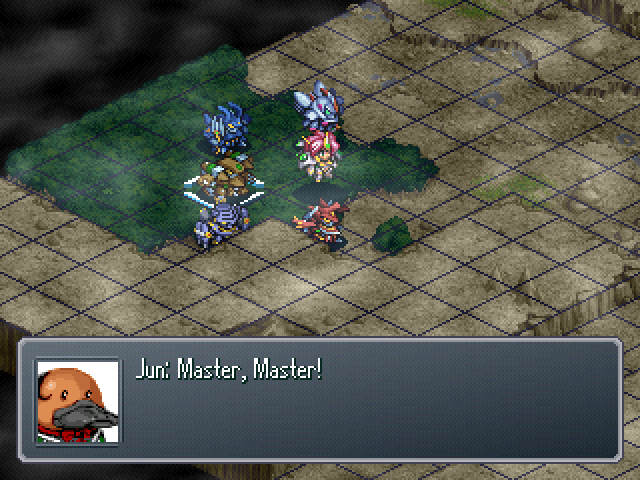 Now Cybuster can use the Sword Rave that was sealed off ever since the last time I repaired it. : Yes. We still haven't seen the full extent of the fire elemental Granva's capabilities... But, temporary or no, this could be a fine chance to test out the technique I thought up ages ago. 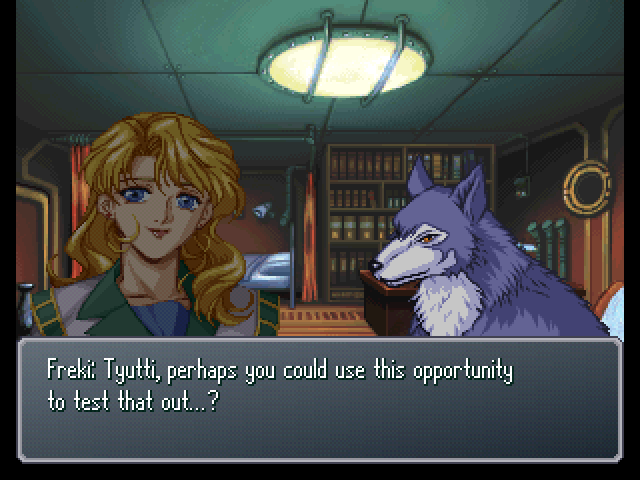 : Ooh, ooh, do you have any new techniques you could share, Tyutti? : I suppose so... I can give it a shot. : My Valcione hasn't been doing too well here... It can't use the Full Moon Cut. : It's all right, Ryune. I went ahead and fixed up your machine. : ...Was that uncalled for? : Say, Wendy. Are you still in good shape after working that hard? : ...Well, don't push yourself too hard. : I know, Masaki. ...Still, isn't it funny how things work out? Last time, I was at your side worrying over you, and this time it's the complete opposite. : ...What's got you so upset? : Moving on, would you guys mind taking the machines out for a quick test? : Then, let's head out to that valley up ahead. 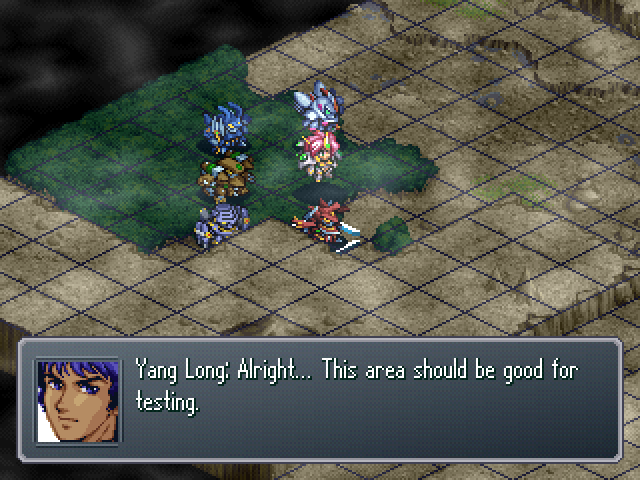 : Yang Long, how are we supposed to even test a machine? : Have you already come up with gag material for your new technique? : Of course. I've already thought up a good name. : Mistress Tyutti, there are mobile weapon readings in this region. : Come again...? Can you identify them? : We already did that, meow. : Yeah, we won't be outdone by Freki or the others, meow. : What's this... We've fallen behind a couple of mere felines? : Say that again, meow! : Stop fighting. Why don't you ever get along...? : I beg your pardon. By the way, we've gotten a positive ID. : I've got you this time!! 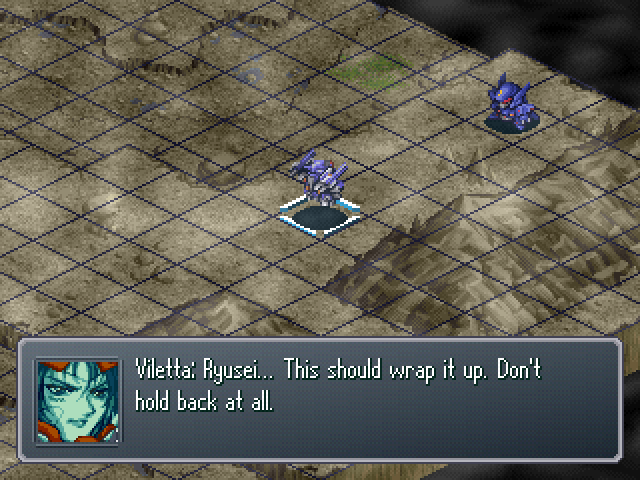 Viletta easily dodges his attack. : What!? You dodged that!? : You're acting too slowly, Ryusei! 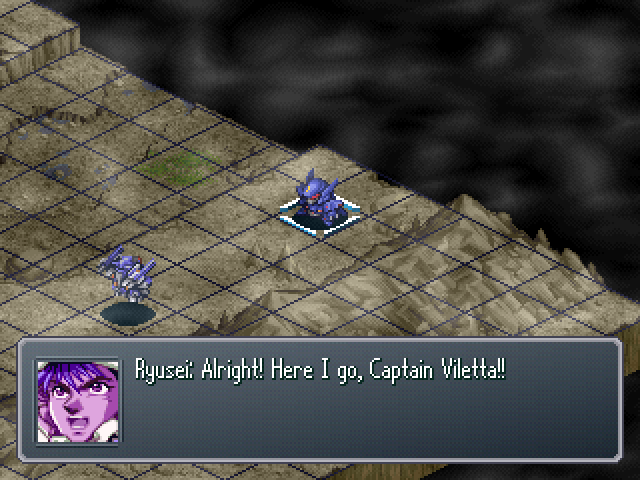 Viletta lands a hit on Ryusei. : You're relying on force, not making full use of your machine's abilities. : Even in the SRX, if you rely solely on power, it will be the death of you. : If you want to keep piloting PTs while the SRX Project is discontinued... From now on, try to get used to whatever machine you're given more quickly. : Otherwise, you'd be better off stepping down from that Personal Trooper. : ......... Still, your approach timing was good. Keep that up next time. 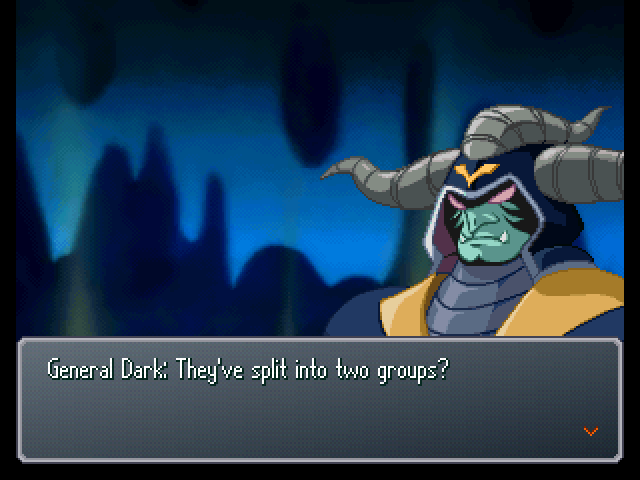 : ...Alright, we'll go meet up with them. : Masaki! Is that you!? 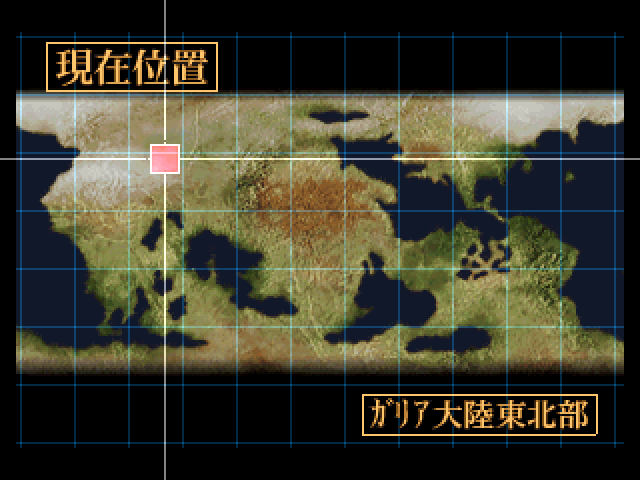 : Where an Earth have you guys been up until now? : Hmm... I guess you must've wound up like me. 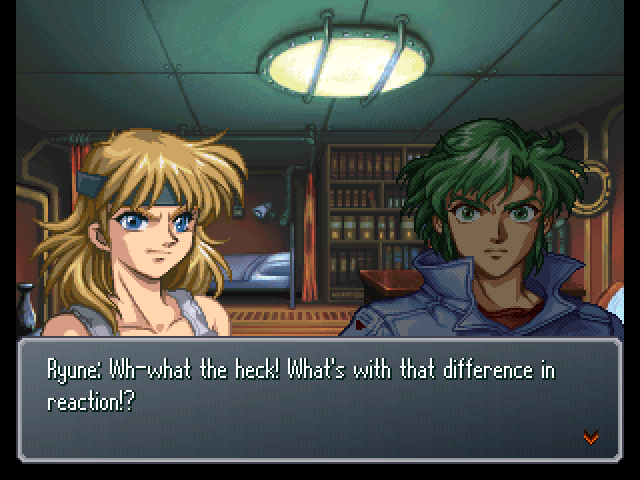 : By the way, what were you the two of you doing? : Special PT training. Captain Viletta's made me do that since we got here. : That's comic book hero training! : ! Master, we have new readings...! The Bado's pass them all by, seemingly ignoring them all. 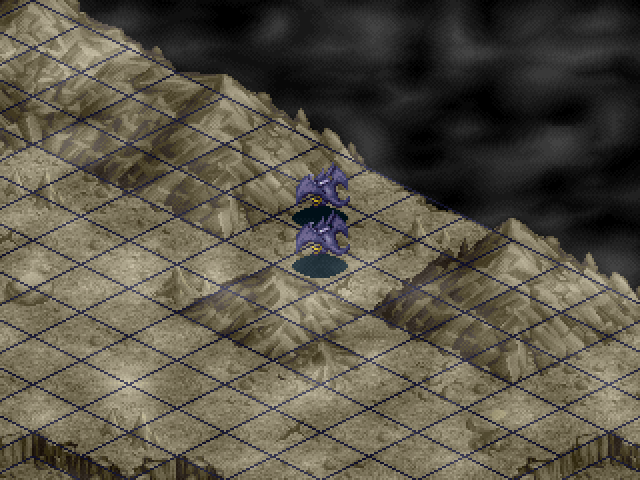 : Didn't they come here to attack us!? : A number of other objects have already passed by overhead. : What did you say..? : !! Could they be going for the Iron Gear!? : Crap! We've gotta get back there, now!! : Hey, all done with the bartering. : When we negotiated the way you showed us how, we got some great deals on parts. You've got a real talent for business. : Yeah? Well, I do a lot of work on the side. : (.........) Say, Banjou... Once we save Miss Elche and this whole thing's behind us... Want to stick with us and be a trader? : I appreciate the sentiment, but I can't take you up on that. If we can make it back to our world, I'd like to go back. : Ah... That's too bad. : By the way, where's Jiron's group? : Oh, them? They're relaxing outside. They say the weather's perfect for it. : (.........) Well, that's good to do every now and then.